Have you embraced Facebook Ads yet? Or is 2019 going to be your year? 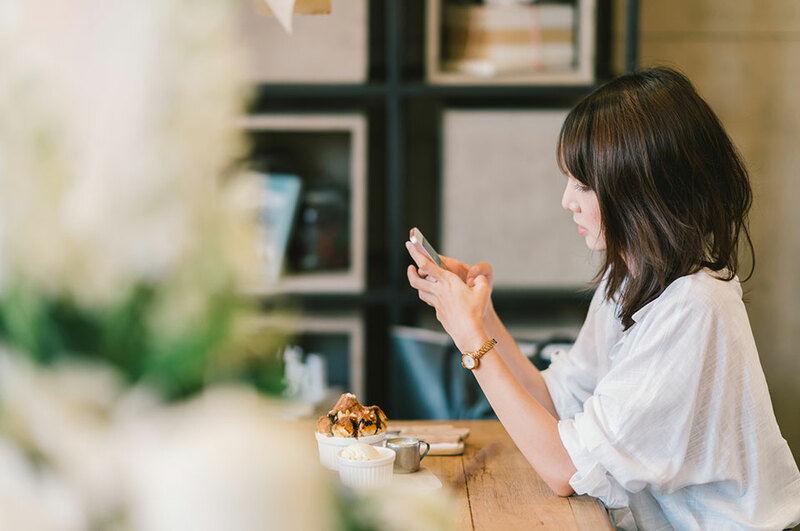 Either way, here's what you need to know about making Facebook Ads a major part of your 2019 marketing plan. Only 2 years ago, social media was just one component in our marketing strategies. Today, social media is leading our strategies for quite a few reasons. Social media is where target markets are and it helps to build brand communities. We can effectively retarget on social. We're able to focus on a longer nurturing process for leads, not just going after intent-based audiences. We can hyper-target existing and brand new audiences. 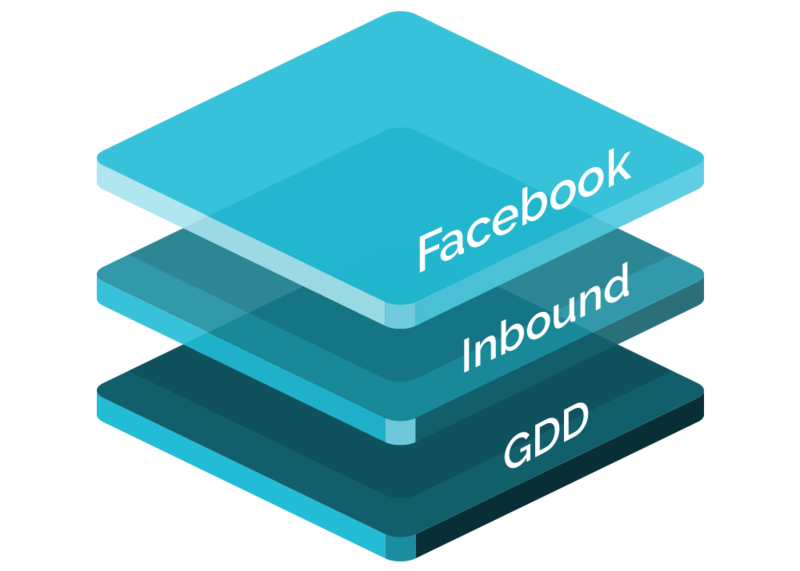 Retooled, our marketing stack is a combination of three primary components: Facebook Ads, Inbound Marketing and Growth Driven Design for websites. There is a perfect synergy between these tactics—they all work in concert to create a powerful and effective digital footprint. Think about it. Inbound Marketing focuses on providing useful, educational information to people when and how they want it. Growth Driven Design focuses on consistent improvements to continually enhance the user experience. And Facebook Ads, done right, should follow the inbound methodology too. Each of the different objectives available when building campaigns on Facebook fit perfectly into the “inbound way.” Whether trying to attract brand new audiences at the top of the funnel, engage them in the middle or convert them at the bottom, Facebook Ads can, and should, be used with an inbound marketing perspective. Here are two examples of exactly how we build our full funnel inbound Facebook Ads campaigns that follow the buyer's journey. We even go so far as to use naming conventions to clearly show what stage of the buyer’s journey each ad is being used for on the Ads Manager dashboard. The last 13 years have been an evolution and a mindset change for us when it comes to utilizing Facebook Advertising in our strategies. Just as we’ve all been conditioned to think of how we can maximize different pieces of content marketing, the same has to be said for Facebook Ads. Our minds exploded a few years ago with the epiphany of maximizing and re-sharing blog content (thanks to CoSchedule’s brilliant process), the same is absolutely true for content on Facebook right now. What does amplifying content mean? Read my lips—I do not mean boosting on Facebook (you can hear me on my soapbox about boosting here). Amplifying content means that you strategically turn your content or posts into ads that target and/or retarget strategically selected audiences with specific KPI goals in place. All while more efficiently using your ad spend budget. 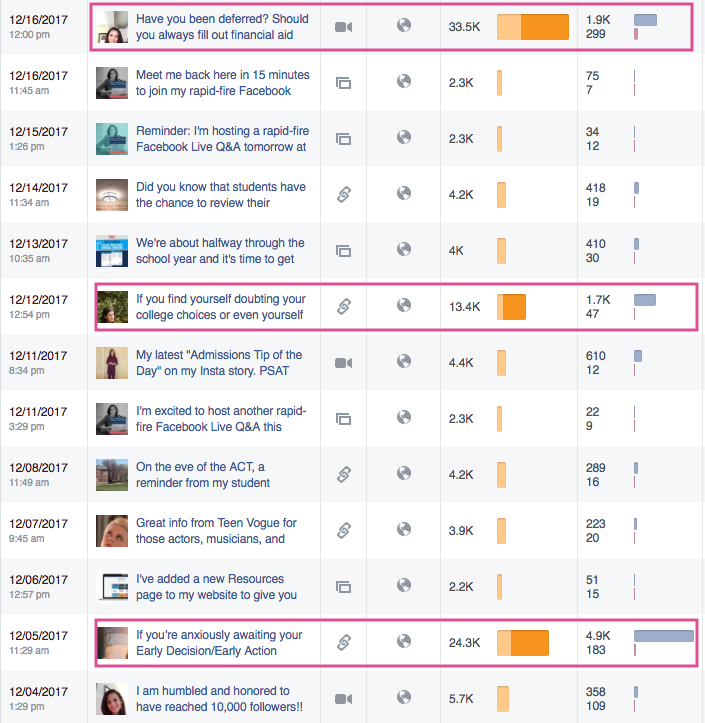 Here's an example of how we take Facebook Live shows and blog posts for one of our clients and amplify them. Sara Harberson is a college admissions counselor. We’re obviously partial, but, hands down, she is the best around. Not only does she have an immense treasure trove of knowledge, but she happily wants to share it all with anyone who needs help. We don't amplify everything, but we strategically focus on expanding the reach and exposure for key elements of her marketing campaign. And the results speak for themselves. Ads—at least good ones—follow a principle we call “ad camouflage.” They're actually sharing helpful, useful information (i.e., the inbound way) and you don’t mind engaging with them. But they are "camouflaged" because we specifically leave off the CTA button, use high-quality imagery and make sure the tone of the copy is always helping to solve a pain point for the audience. 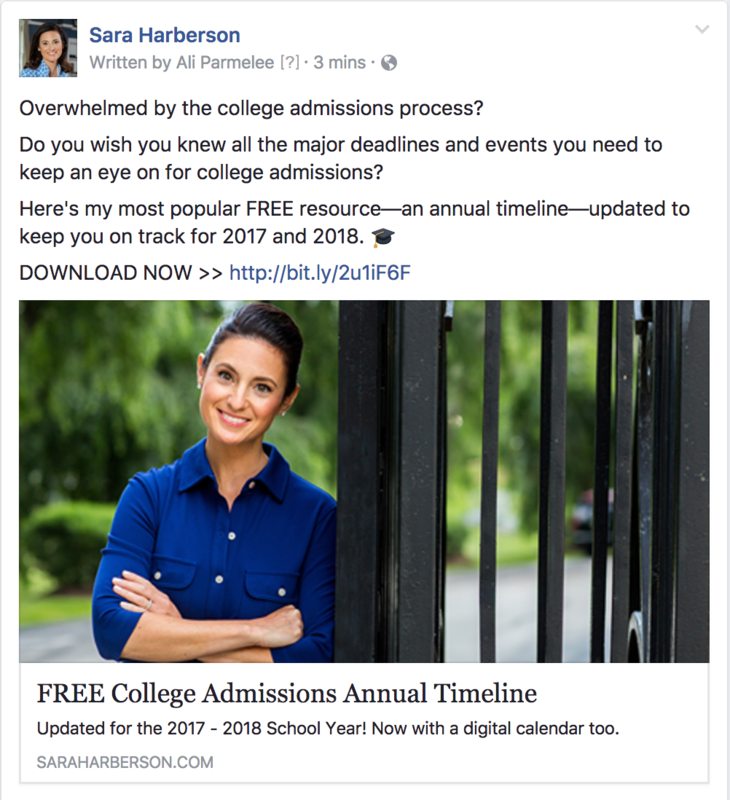 At this point, if you're not actively incorporating Facebook Ads into your digital marketing strategy, you're a bit late to the party. But that doesn't mean you can't get started! Take the first step and evaluate your overall editorial calendar to determine what you want to amplify. What will have a big impact on your audience and build your credibility with them? Once you've got that down, start thinking about how you can build an ads funnel that followers your buyer's journey. And if you run into trouble, give us a shout. Facebook Increases Ad Transparency With New "Ad Library"
What Is a Full-Funnel Facebook Ads Strategy?